Spread mayonnaise on both sides of bread slices and transfer to a baking sheet. Bake at 475 for 8-10 minutes or until golden. Let cool 5 minutes, then cut into 1" croutons. Whisk remaining 1/2 cup mayonnaise and vinegar in a large bowl. 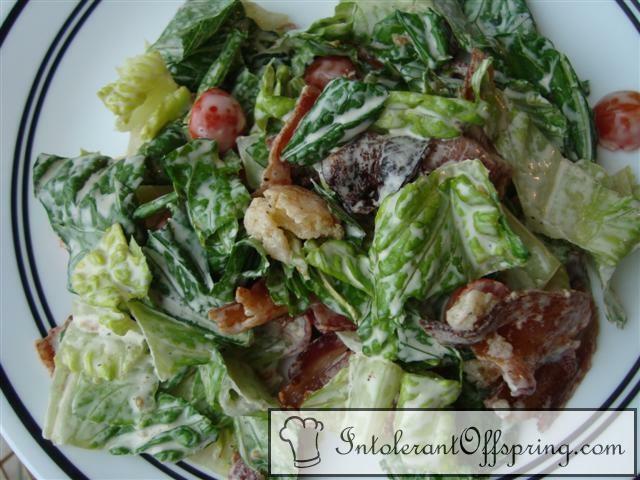 Add lettuce, bacon, and cherry tomatoes and toss with dressing. Top with croutons, season with salt and pepper, and serve.